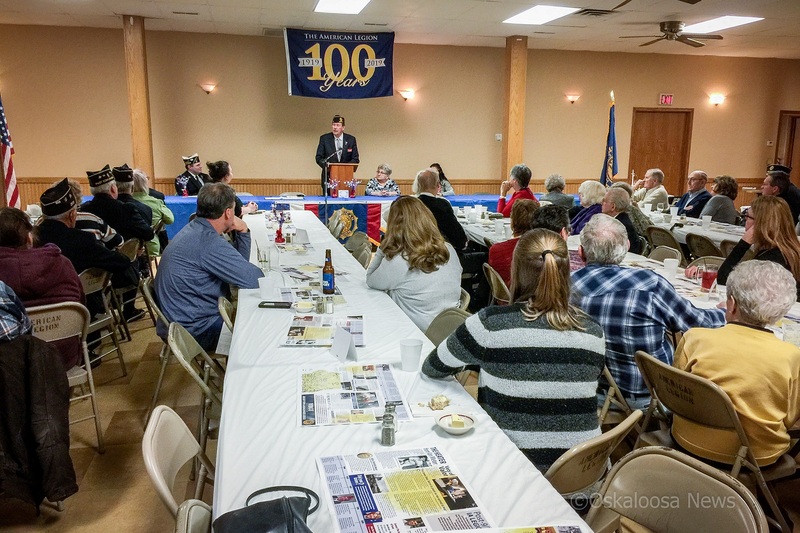 Approximately 75 people took part in the 100th Anniversary program of the American Legion. Oskaloosa, Iowa – In the banquet hall of the American Legion Post 34, members and dignitaries gathered to celebrate and honor a century of honor, service, camaraderie, and community service. 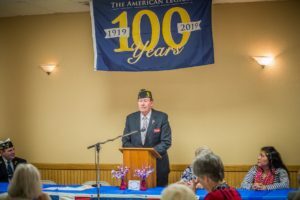 Alderson introduced American Legion Past National Commander David Rehbein, who was elected to lead the organization back in 2008 and was Friday night’s special speaker. Blindness, shellshock (PTSD), amputees, spinal injuries, are examples of injuries communities weren’t equipped to handle. “They simply didn’t have the equipment, the abilities,” added Rehbein. 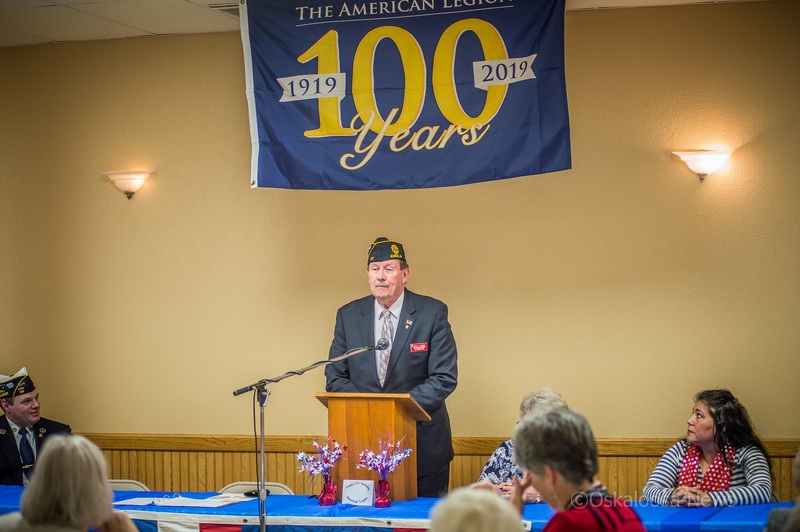 Past National Commander for the American Legion, David Rehbein, was the keynote speaker at the 100th Anniversary celebration held at the Oskaloosa American Legion on Friday evening. The “Serviceman’s Readjustment Act” which is referred to as the G.I. Bill, was passed in 1944, provided a varying range of benefits for G.I.’s returning from the war. 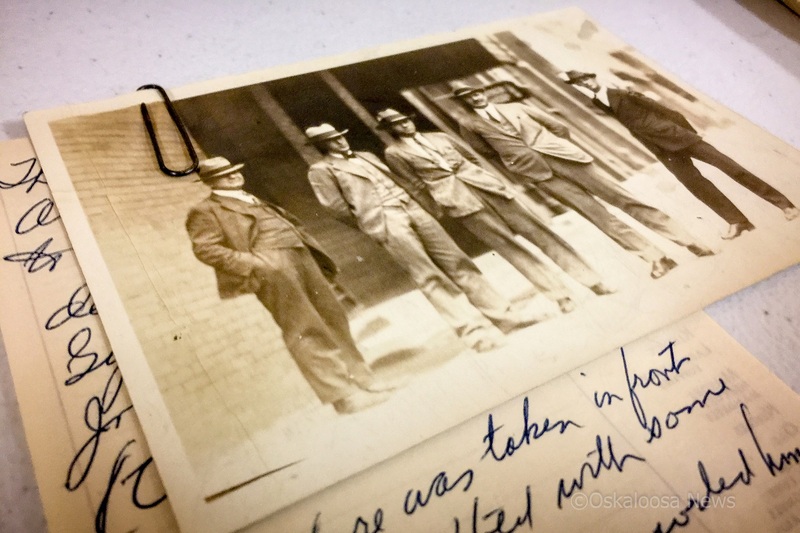 Scrapbooks made by the Oskaloosa American Legion over time were on display, and people could see a glimpse into the Post’s past. “It also opens Legion membership eligibility to all of those folks,” Rehbein added. Rehbein then took the crowd on a tour back in time, to when the American Legion was getting its start in Iowa. Dr. Mathew Tinley was instrumental in the Iowa District of the American Legion and was the first department commander. “He went overseas with the 168th Infantry Regiment. He went into the military in 1894 as a private, but unlike most of the rest of us, he came out of that military quite a number of years later as a lieutenant general in command of the 34th Infantry Division,” Rehbein shared. Tinley helped to lead the formation of 182 American Legion Posts, which then lead to the formation of 352 Posts. “By the time he finished his year as commander at that second convention, there were 542 Posts in Iowa,” explained Rehbein. John McVicker was also recognized for his efforts in making the Legion in Iowa what it is today. McVicker served as secretary, starting in 1919. McVicker enlisted to serve in World War I when he was 58 years old, and had already been the Mayor of Des Moines three times. McVicker oversaw the chartering of the 542 posts in less than 500 days. “That’s a blizzard of paperwork,” Rehbein said. The ceremony then turned to the opening of the time capsule that had been sealed since the late 1940s, which included a membership roster from 1948-49, and had over 800 members. 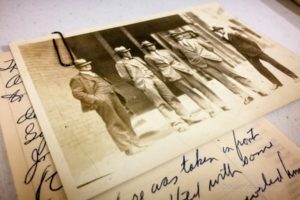 Also included were newspaper articles, photographs of the Oskaloosa Legion Band, photos of the previous post, and the post’s namesake Harry L. Anderson, who was the first Mahaska County resident killed in World War I. 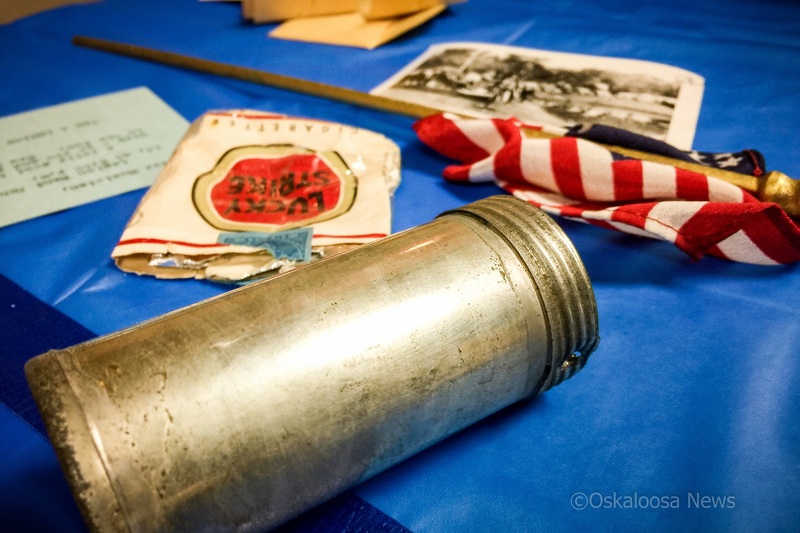 A time capsule from the late 1940’s was opened on Friday night. Inside the capsule was a scroll with legion member names, a 48 star American Flag, a used pack of Lucky Strike cigarettes, photos, post cards and newspaper clippings. Darrin Alderson, Oskaloosa resident and 5th District Commander, has been a member of the American Legion for going on seven years. During that time, Alderson has been a post commander, district commander, and holds a national commission. Alderson said that people like Rehbein have been instrumental in helping him become more involved. That healing that takes place by being with individuals who have served is what makes the local level of the American Legion so special. On the national level, the Legion plays a watchdog role to protect and fight for veterans rights. “We push for oversight of the VA System, and then we are also pushing for new programs to help out,” added Alderson. An example of the Legion helping veterans took place during the most recent government shutdown when the Coast Guard wasn’t being paid during that time; the Legion dipped into their emergency fund to help those service members meet their financial obligations. The Legion gave out just short of one million dollars during that time. 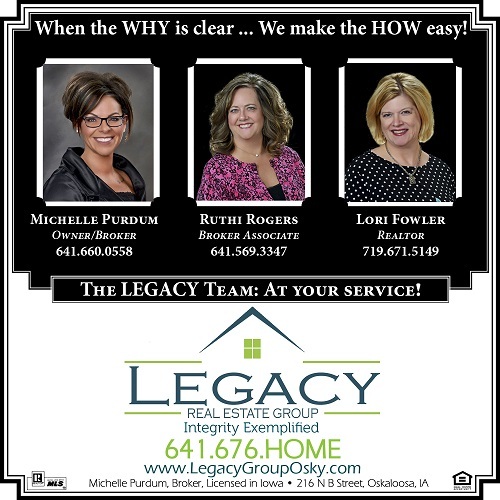 “That’s the impact that the Legion has on a national level. 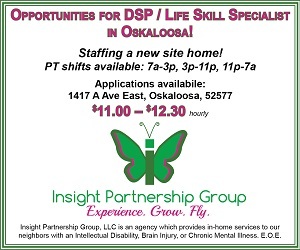 It wouldn’t happen at the national level if it wasn’t for the post level making it happen,” added Alderson. 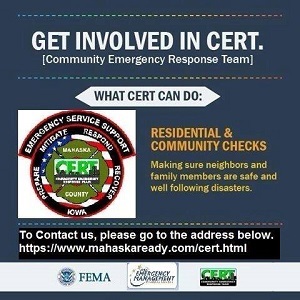 Posted by Ken Allsup on Mar 17 2019. Filed under Local News. You can follow any responses to this entry through the RSS 2.0. Both comments and pings are currently closed.